One of the best things about living in Southeast Asia is the ease of travel from country to country. The spouse and I recently found an excuse (in the form of a boxing match between Manny Pacquiao and Lucas Matthyse) to get away to Kuala Lumpur, Malaysia for the weekend. Whether you’re a boxing enthusiast (like him) or a casual observer (like me); it seemed like a great excuse to explore a new place. Kuala Lumpur is a quick, two-hour flight from Bangkok; faster than flying to the Caribbean or Vegas from the East Coast. As cities go, it’s not easily walkable, but taxis are abundant, and the ride-hailing service Grab works efficiently. It’s also an incredibly family-friendly city from what I could tell, though we opted to keep our dynamic duo at home. It was our first time leaving the girls in the care of anyone other than family, which was nerve-wracking, to say the least. 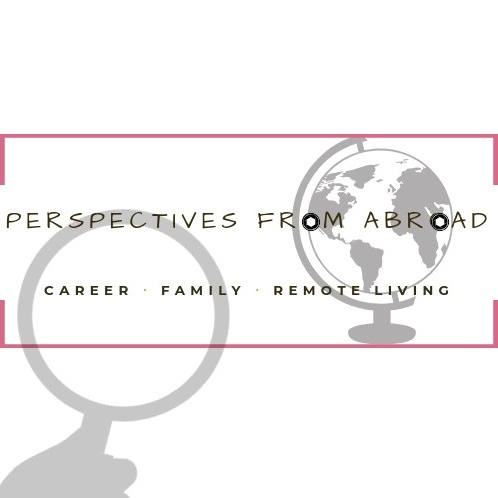 However, after all the destinations we’d hit in 2018 with our kids – a trip back to the U.S. that included stops in NY and Texas, Krabi (twice) – we were in desperate need of some alone time. Aside from the obvious cost savings of only paying for two roundtrip plane tickets, leaving them behind was worth it to avoid the circle of hell called toddler regressions that even small changes to their schedule can elicit (more on toddler regressions in another post). Ok so back to Kuala Lumpur, or KL as the chic and hip call it. If you only have a short amount of time there, make sure you hit up two places: the Batu Caves and the Kuala Lumpur Bird Park. It was a great way to kill time doing something different between meals, and you work up an appetite. The hubby and I are somewhat ambivalent tourists, so these two attractions matched our commitment level well. For those who are more ambitious tourists, the Bird Park is within the Lake Gardens where there’s a bunch of other stuff to do and see. The Batu Caves are a short distance outside of KL proper, so we opted to book a tour to deliver us to and from the attraction. A quick word of caution about excursions such as the one we took: the guide may be getting a little on the side to bring groups to additional “cultural” stops. In our case, they were thinly veiled shopping stops for souvenirs at pewter and fabric factories. While off-putting, the trip to the caves overall was absolutely worth it. Besides, it wasn’t anything like the forced shopping tours described here or here. To be honest, if you do nothing else in KL make sure to stuff your face. There’s such a beautiful mix of cultures cooking up all kinds of cuisine – and it’s all tasty. It doesn’t even really matter where you go. A popular destination touted by the foodies are the food stalls at Jalan Alor, but you seriously don’t need to go there to get great food. We stumbled upon a quaint place called Teh Tarik Place, pointed at a dish we saw heading to another table (I later learned was Nasi Lemak Ayam Rendang), and had what could only be described as a feast. Maybe I was hungry, but I stick by my statement. We didn’t even have the teh tarik that Malaysia is apparently known for (see here for more info)! Oh well, next trip… We also checked out Marble 8 near the city’s landmark Petronas Towers for a romantic dinner with a view, then spent the rest of our weekend gobbling up rotis and kati rolls until our stomachs hurt. I’m already searching for excuses to return. 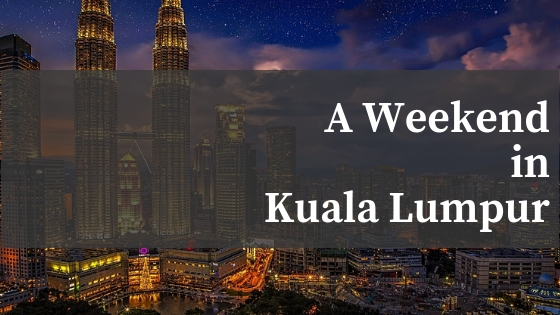 Been to Kuala Lumpur? How did you enjoy it? This sounds like a great weekend getaway! I love that you were able to fit in some (casual) sight-seeing between meals. Priorities. Haha exactly! I still didn’t feel like I ate enough. The food there is fantastic.